Honest Ballot Association (HBA) began over a hundred years ago with a commitment to honest, reliable and secure elections and HBA upholds that legacy today. 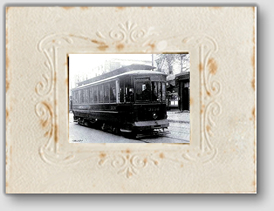 HBA was founded in 1909 by a group of individuals who aspired to conduct each election fairly and truthfully. In the wake of scandalous election frauds conducted in New York City in the early 1900s, civic leaders under the direction of President Teddy Roosevelt formulated new practices and laws to ensure that elections would be conducted fairly. Today, HBA continues to assist in conducting truthful, transparent and genuine elections across the nation for groups large and small. HBA is also closely involved in the research and recommendations made to improve today’s system of modern democracy, and make it easier, faster and more secure for each person to vote. Whether it is a nationwide presidential election, the election for the leader of a local school board or something in between, fair and honest elections are the cornerstone to successful democracy. From a handful of concerned citizens to millions of Americans, the election process gives power to the voice of the people and makes change possible through peaceful, agreeable and democratic means. Through a majority vote, citizens and members of organizations elect their leaders, decide their laws and create the social structure, law and order by which they live by. When elections are miscounted, fraudulent or dishonest, the trust of the people, the reputation of the institution and the authority of the democratic system itself are all at risk. HBA works hard to uphold the respect and power of the democratic system and to allow every organization to take part in fair, accurate, unbiased elections. Through today’s modern technology, quick and precise elections are easier than ever and can now be adopted nearly everywhere. Residents, citizens and community members can now vote from the comfort of their homes on the policies that affect them. HBA helps to make this system possible by pioneering state-of-the-art voting systems and machines anyone and everyone can use. HBA also provides voting certification, supervision and custom ballot formulation to ensure each election is counted and conducted properly. Finally, HBA fights for and advocates for election laws which serve the best interests of the people and allows each person equal rights under democratic law. HBA serves a wide variety of organizations and institutions across the country. Voting systems and machines may be used not only for elections concerning leaders and laws, but may also be used for lotteries and contests. Labor unions, credit unions, co-ops and condo associations, school boards, non-profit organizations, local government groups, police forces, private interest groups and many others have all utilized HBA’s cutting edge technology to conduct elections faster, more efficiently and more accurately. HBA has conducted or supervised over 25,000 elections across the nation in accordance with election law, and each election has been certifiable accurate. No election conducted by HBA has ever been voided or considered unusable due to inaccuracy, fraud or malfunction. As a third party organization, HBA ensures all election results are genuine and all votes are counted precisely. Any conflict of interests between candidates, organization leaders, volunteers or constituents is removed and HBA delivers the results of the election in a form which can be verified at any time. HBA considers election fairness, honestly and accuracy as top priorities, and also understands the need for accessibility, understanding and speed with each election. Through online tools and electronic voting machines, HBA’s voting process is accessible to all. Each ballot can be customized before it is released so the process is most intuitive and easily understandable. Directions at the voting station or through the software ensure each person understands how to vote. Safeguards and firewalls installed in the machines and software protect the legitimacy of the vote and prevent anyone from tampering with the results or voting more than once. By creating an easy-to-use voting system with secure protections, HBA makes it easier for more people to vote, thereby creating more accuracy through a larger pool of voters and measuring a firm majority vote. HBA provides voting equipment and software as well as certification, verification and ballot formulation. 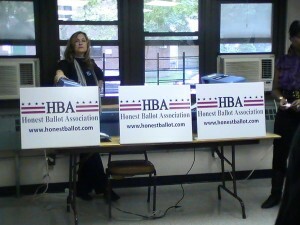 HBA manages and supervises elections across the country and around the world. By designating election supervision and certification through a third party, results are more accurate and the opportunity for fraud is minimized. Third party certification may be required by some organizations and others may enforce their elections through the process to uphold their reputation and the trust of their members. If your organization is holding an election and seeking simple, fast and certifiable methods of voting, contact Honest Ballot Association today. HBA will provide you with more information on any services you require, from certification and supervision to voting software, electronic voting machines and more.